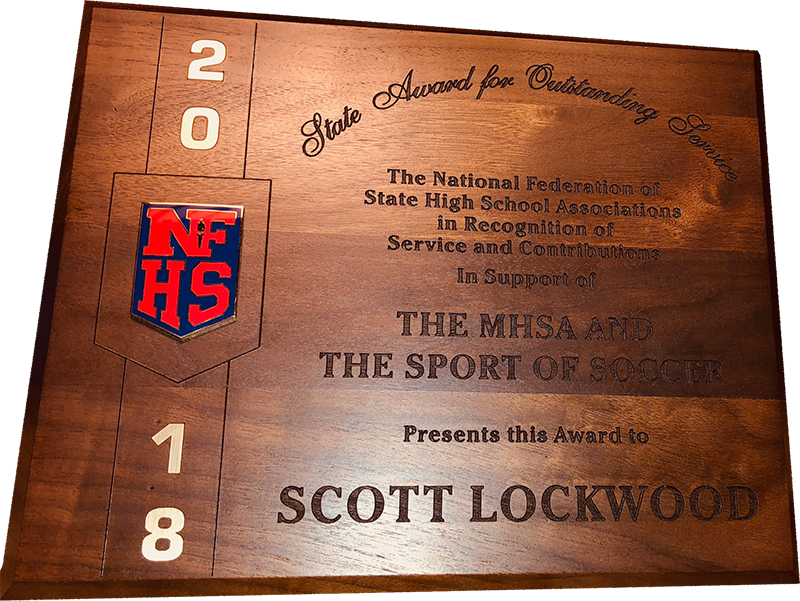 During the Helena hosted High School state soccer playoffs in October 2018, Scott Lockwodd received the Montana State award for Outstanding Service from The National Federation of State High School Associations. 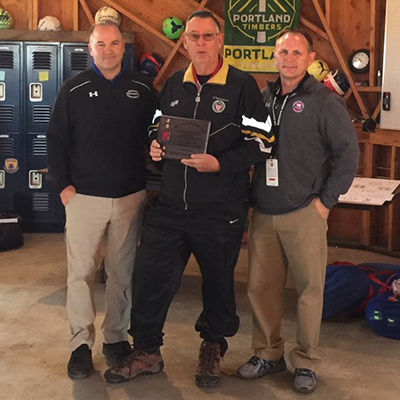 This well deserved accolade was in Recognition of Service and Contributions in Support of The Montana High School Association and the Sport of Soccer. 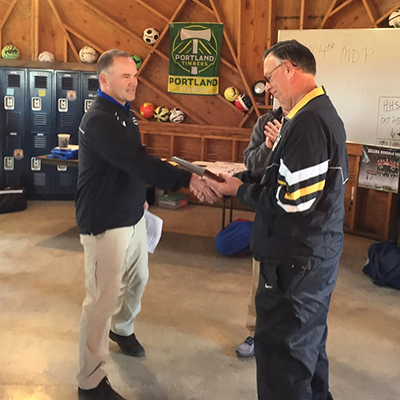 Scott is congratulated by Brian Michelotti the Associate Director of MHSA. 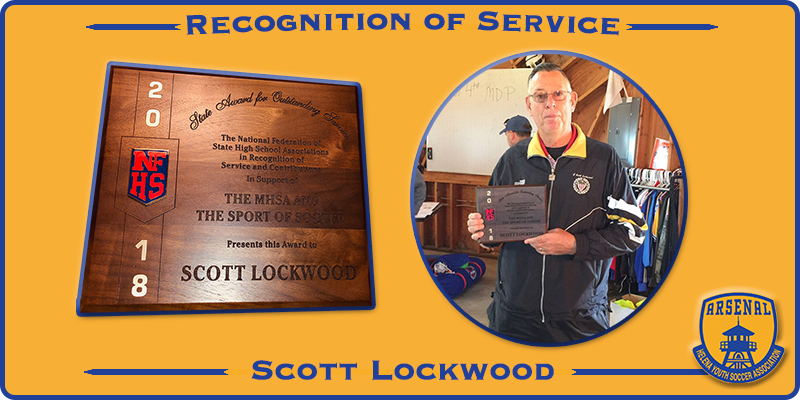 Scott Lockwood displays his well earned award. 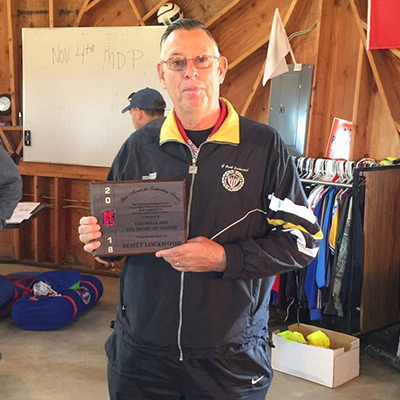 Scott is thanked on his right by Brian Michelotti the Associate Director of MHSA and on his left by Scott Wilson the Assistant Director of MHSA.